Whether you’re looking for a heavy-duty lift, goods-passenger lift, scratch resistant lift, or full EN 81 71 compliance, we have a range of lift options available. 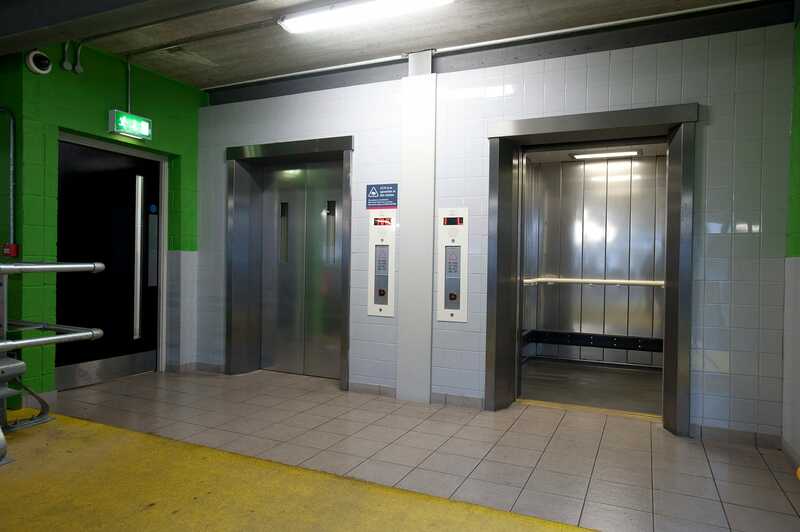 These lifts can be specified for high traffic, large capacities, protection from vandalism and as a BS 8300 1 outdoor elevator. Our Category 1 and 2 vandal resistant lifts include materials and accessories that are durable and water resistant with limited flammability. in a lift where there may be occurrences of vandal resistance than a category 1 lift. These hardy workhorses are suited to infrastructure environments where human traffic is constant. As hospital lifts where patient beds, stretchers, visitors and goods are moved frequently. Or in housing where tenants demand, means resilient lifts built to meet requirements day and night. So whatever type of lift you need, including external glass lifts, we can provide a solution. Whilst shaft and lift car sizes can remain the same as our standard passenger lifts each one of these lifts is uniquely configured. Therefore, it’s always worth you getting in touch with the Stannah technical team to discuss your requirements and possible options further. Looking for a specific type of passenger lift or a particular requirement? A triplex of customised Stannah lifts are delivering vital office access and goods movement in the Record Store, an Art Deco, former record-pressing factory and part of the £250m regeneration of The Old Vinyl Factory, erstwhile home of record label EMI, located in Hayes, West London. A Stannah 2000kg goods-attendant lift was the perfect solution for the movement of people & goods at King’s College Hospital. Stannah at Reading Station: Fast-tracking access in a radical rail refurb. How 14 Stannah passenger and goods lifts helped power a 21st century rail service. People-and-train traffic is hotting up in Edinburgh Waverley, a 24-7 main line railway station sited in Scotland’s capital city centre. So much so that Network Rail called in UK lift wizard Stannah to renew and revamp its people-moving capability and better serve an annual footfall currently rumbling around 20 million.